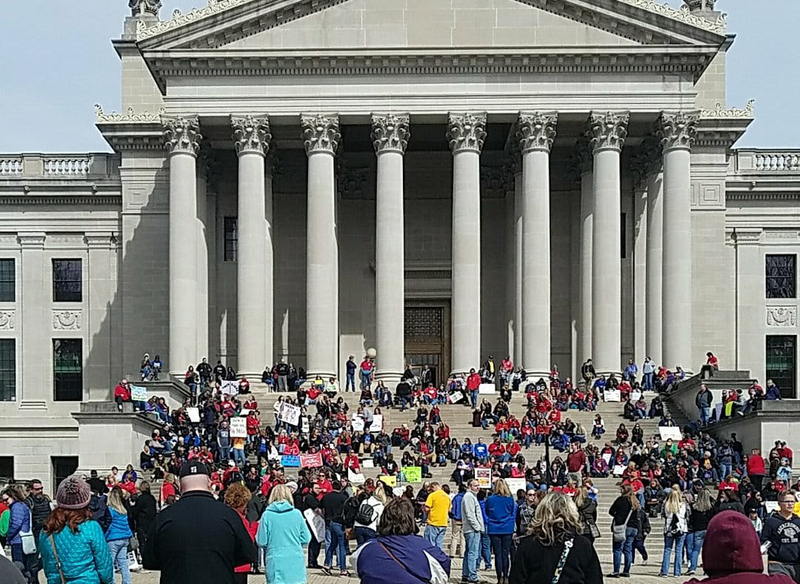 West Virginia Teachers Must Win! What follows is the statement of solidarity that Socialist Alternative members are circulating at the West Virginia Capitol building in Charleston. You can download the pdf here. Working people around the country and world are tremendously inspired by the struggle of West Virginia teachers! Your strike – battling for health care – against a callous billionaire shows an amazing example of how workers, union and non-union members, can fight and win against the vicious attacks on working people. On Saturday, members of Communications Workers District 2-13 members decided to go on strike – their determination inspired by the teachers’ grassroots movement. Socialist Alternative is in solidarity with your struggle and below we include quotes from a few prominent members. “As a Seattle City Councilmember, a rank and file member of AFT Local 1789, and a member of Socialist Alternative, I am writing to congratulate you on your inspiring struggle against the inhumane pay and healthcare costs imposed on you by the West Virginia Legislature. I thank the members and organizers of the American Federation of Teachers-West Virginia, the West Virginia Education Association, the West Virginia School Service Personnel Association, and other workers for standing courageous and united in this historic strike action. Working people are feeling the brunt of horrific inequality at a time when billionaires are disproportionately expanding their wealth. The twenty wealthiest people in America­ now own more than the entire bottom half of the nation’s population. Governor Justice of West Virginia, who brazenly said teachers and other public school employees should accept one or two percent wage increases and ballooning health care costs, is himself is a billionaire and one of the richest politicians in the nation. Such incomprehensible wealth is possible only alongside the impoverishment of tens of millions of working people who make our cities and states run. Public services and public-sector employees have seen draconian funding cuts and relentless austerity measures. Already the right wing and the Republican Party have attacked public sector unions with “right to work” legislation in twenty-eight states, including West Virginia. The Janus case now being heard in the United States Supreme Court could dangerously pave the way for an even more precipitous decline in living standards and workplace rights. What would happen if public sector workers coast to coast took united and coordinated strike action like you have done in West Virginia? Further, could the labor movement push back against the right wing and corporate politicians by running its own independent working class candidates? To win, the struggle should continue and be broadened out including the possibility of solidarity actions from union and non-union workers.